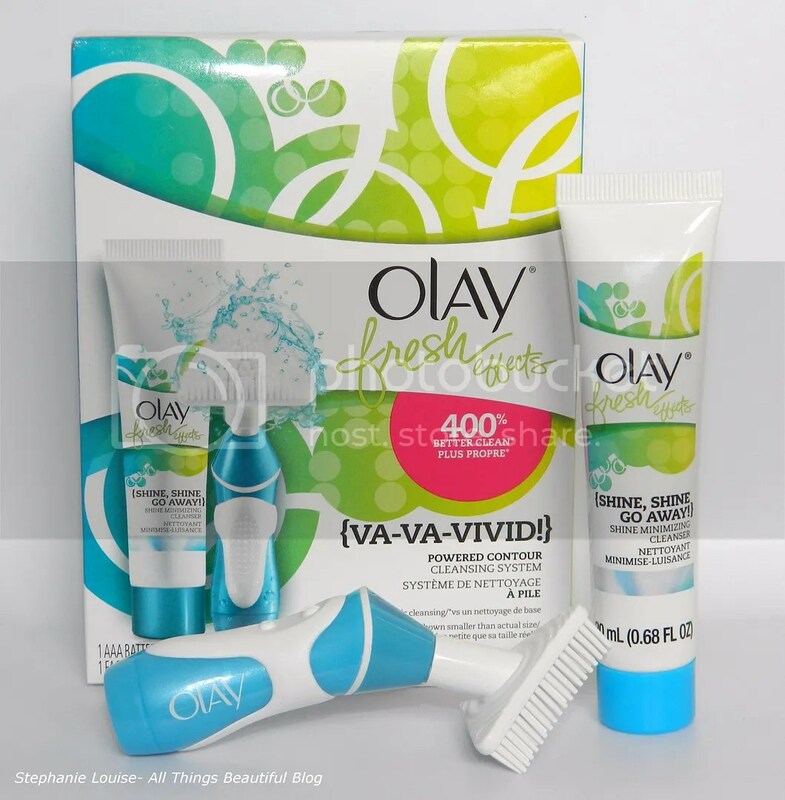 When I received the Olay Fresh Effects Va-Va-Vivid Cleansing System in my Influenster Sweethearts box awhile back I was quite excited. As much as I adore nail polish, am obsessed with eyeshadows, & seem to have an inhuman amount of lip products…I find myself becoming a bit of a skincare junkie. When my dear military husband found out he was being stationed in Nebraska I remember thinking, “Oh great, another climate for my skin to hate” because that is just the way I roll. Growing up in the perfect weather in Huntington Beach, CA I found I was quite spoiled. Then we moved to Arizona for a few years where for months it is over 100 degrees then Las Vegas, NV when I got married with a similar climate. My skin was fabulous there. Then we hit Nebraska where it snows, is humidly gross, & just all around an enemy to skin everywhere. Why does this matter? Well, I shall tell you! The key to having healthy skin is to really clean it, treat it, then re-moisturize it. While a quick cleanse is nice it just doesn’t cut it for me anymore. if you followed my Clairisonic series then you know how happy I am with it. But what if you aren’t looking for a splurge? You could go for a facial brush or a rubber cleaner but they seem to be missing something. The shape isn’t quite right on the options I’ve tried. So why did Olay get it right? They went with a triangle of course. 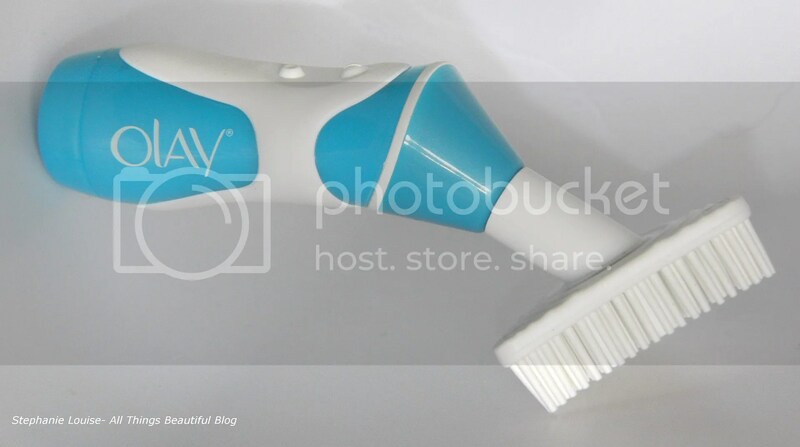 The size & shape of the Olay cleansing tool is genius. This is a very small brush compared to others I have tried & because it is a triangle it gets into the creases around your nose, hairline, & other facial areas with ease. The rubber bristles vibrate with a touch of the on switch. They don’t swirl or turn but actually vibrate. The rubber bristles (which I happen to prefer on a face brush usually) are fine so they don’t rub too harshly. They cleanse significantly & the entire power brush is easy to hold with an angle head. For me the must have of this kit is the cleanser & when I use up a few bottles I have laying around I’ll be considering picking up a full size. You receive a 20 mL tube which is just enough to decide if I like it or not. I’m so glad I do! This smells like clean violets & I use it after removing my eye makeup. Although it is a shine minimizing cleanser, it didn’t leave my somewhat dry skin feeling tight at all. The Olay Fresh Effects Shine Shine Go Away Shine Minimizing Cleanser contains Kaolin clay which lifts away impurities & minimizes the shine. I really love this for my T-Zone especially! All in all, if you’re looking to test out a new skincare cleansing routine this is a nice option. You can purchase the kits online from the Olay website www.olayfresheffects.com & from Amazon. **This was sent as part of my Influenster Sweetheart box which I revealed here. This item was sent with no charge in hopes of review. All opinions are my own. I was not compensated.